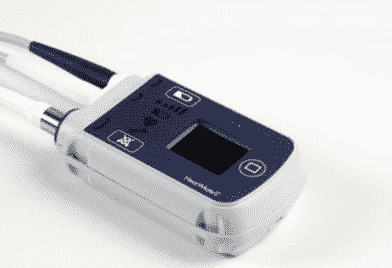 A Class I medical device recall has been announced for certain HeartMate II LVAS Pocket System Controllers, following 26 fatalities that occurred while patients were trying to exchange the controllers. A Class I recall is the U.S. Food & Drug Administration’s (FDA) most serious recall class, and indicates that use of the affected HeartMate II LVAS Pocket System Controller may result in serious injury or death. The nationwide law firm of Bernstein Liebhard LLP is now investigating injuries and deaths allegedly related to the HeartMate II LVAS Pocket System Controller recall. If you or a loved one were harmed by this device, please call (888) 994-5118 to learn more your available legal options. The HeartMate II LVAS system is a left ventricle assist system that aids in the circulation of blood when the heart is too week to adequately pump on its own. The Pocket System Controller is a power supply that connects to the implanted LVAS pump through a lead (driveline) under the skin. The system also includes a backup controller for use in case of a device alarm or malfunction. Patients are provided with instructions and training to exchange from one system controller to the other. The HeartMate II LVAS Pocket System Controller recall was announced after Abbott-Thoratec received 70 incident reports of controller malfunction following exchange, including 19 injuries and 26 deaths. The fatalities occurred when patients attempted to exchange controllers outside of the hospital. In an Urgent Medical Device Correction letter dated March 29th, Abbott-Thoratec indicated that it would provide all HeartMate II LVAS Pocket Controller users with new software and hardware updates to assist patients in successfully exchanging their pocket controller in emergency situations. Model/Item Numbers affected by the HeartMate II LVAS Pocket System Controller recall include: 105109, 106015, 106762, and 107801. The recalled devices were manufactured from July 2012 to December 2016. Bernstein Liebhard LLP is now offering free legal reviews to individuals who suffered complications that may be related to the HeartMate II LVAS Pocket System Controller recall, as well as the surviving loved ones of patients who may have died due to a controller malfunction. To obtain your no-obligation review, please call (888) 994-5118.